April 20, 2015 ---- Penn Staters for Responsible Stewardship (PS4RS) wholeheartedly supports the efforts of the alumni-elected trustees to gain unfettered access to the source materials for the Freeh Report, specifically today’s Common Pleas Court filing of a Petition to Compel Inspection of Corporate Documents. Two current reform-minded trustees and one newcomer with an interest in the legal implications of the Freeh Report will be the only names on Penn State’s alumni trustee ballot this year. 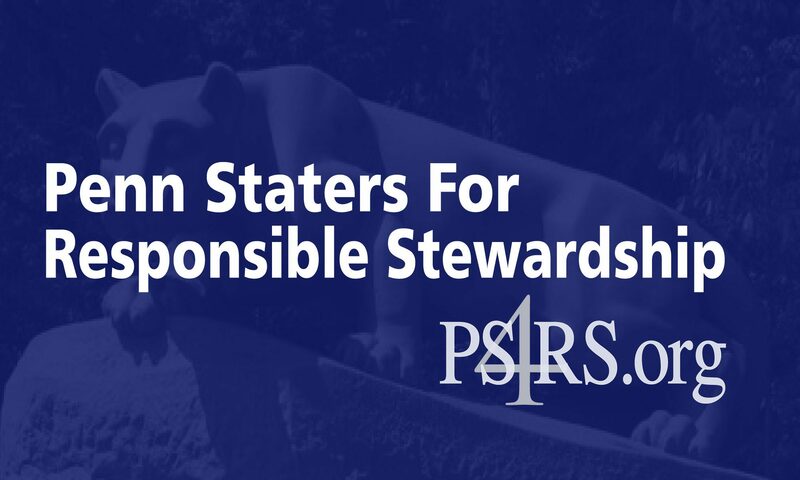 PS4RS endorses McCombie, Lubrano and Tribeck for Penn State Alumni Board of Trustees.